Hello fellow gardeners! I really wish that I had better news for you this month. Dezzy tells us in her Storm Wizard's Guide to Dragonspyre Crafted Clothing that a total of 25 Kraken are needed to craft each entire clothing set. 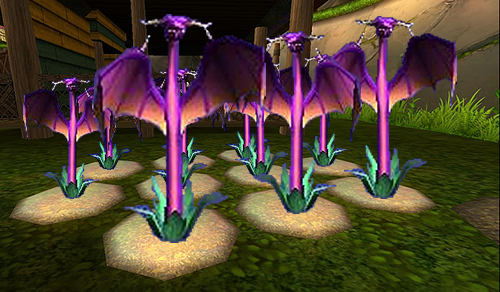 There is only 1 plant which can give Kraken Treasure Cards. As most of you know, I grow 10 plants at a time. From my experience, Maelstrom Snap Dragons only produce Krakens at elder harvest, and I have only ever received ONE card per cycle from my 10 plants.